Hill K, Cecins NM, Eastwood PR, Jenkins SC. 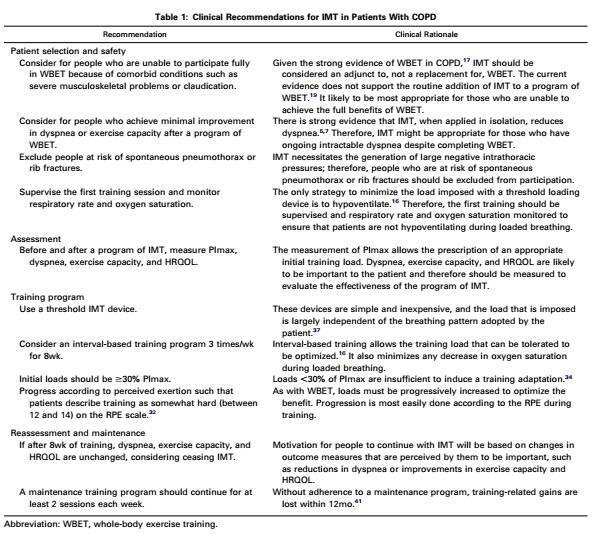 Inspiratory muscle training for patients with chronic obstruc-tive pulmonary disease: a practical guide for clinicians. Arch Phys Med Rehabil 2010;91:1466-70.